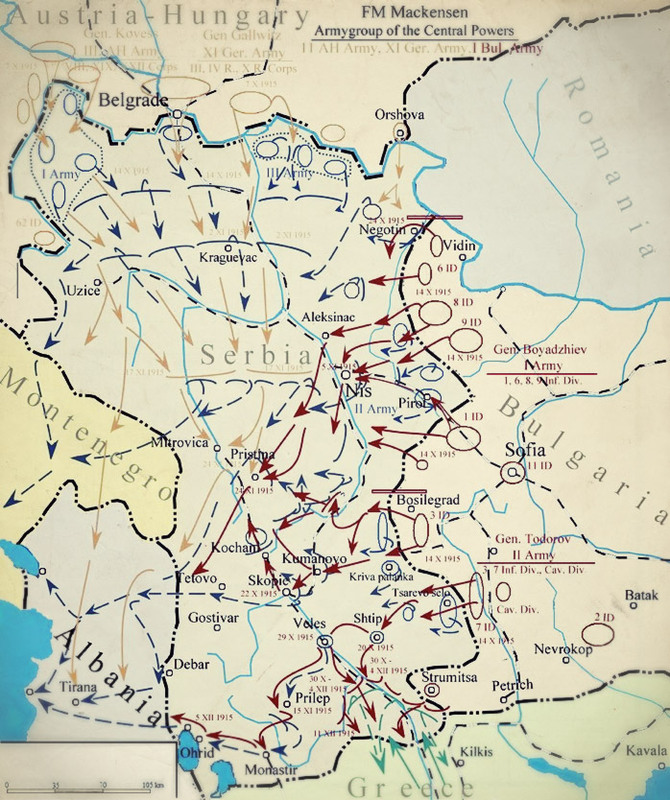 The Balkans campaign was fought in northern Greece, Serbia and Albania during 1915-1918. Anglo-French forces began landing at the Greek port of Salonika (now Thessaloniki) on 5 October 1915. 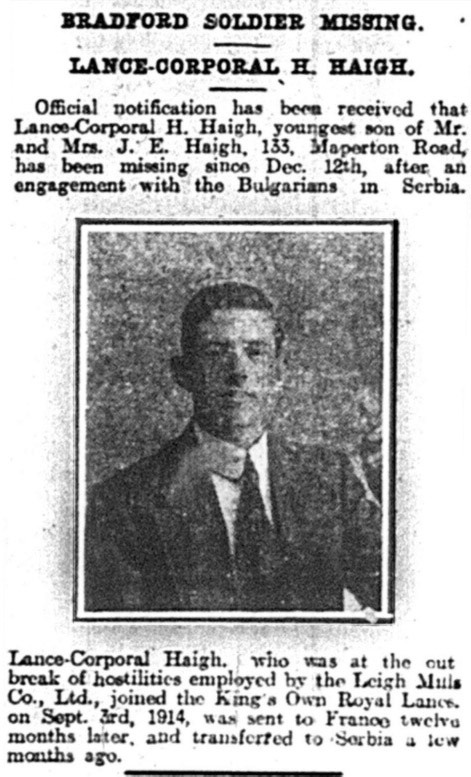 The troops were to provide military assistance to the Serbs who had recently been attacked by combined German, Austro-Hungarian and Bulgarian armies. The intervention came too late to save Serbia and after a brief winter campaign (1915 – 1916) in severe weather conditions on the Serbian frontier, the Anglo-French forces found themselves back at Salonika. The decision was made to defend the town. The density of defensive wire around the town made it seem like a bird cage and the Germans regarded it as a vast prison camp! A major offensive was launched in early 1917 but made little impression on the Bulgarian defences. The front-line remained more or less static until September 1918 when the British attacked a series of fortified hills in the Lake Doiran area. They sustained very heavy casualties but a breakthrough by Franco- Serbian forces forced the Bulgarian army into a general retreat. Following the breakthrough the Bulgarians sued for peace and surrendered on 30 September 1918. 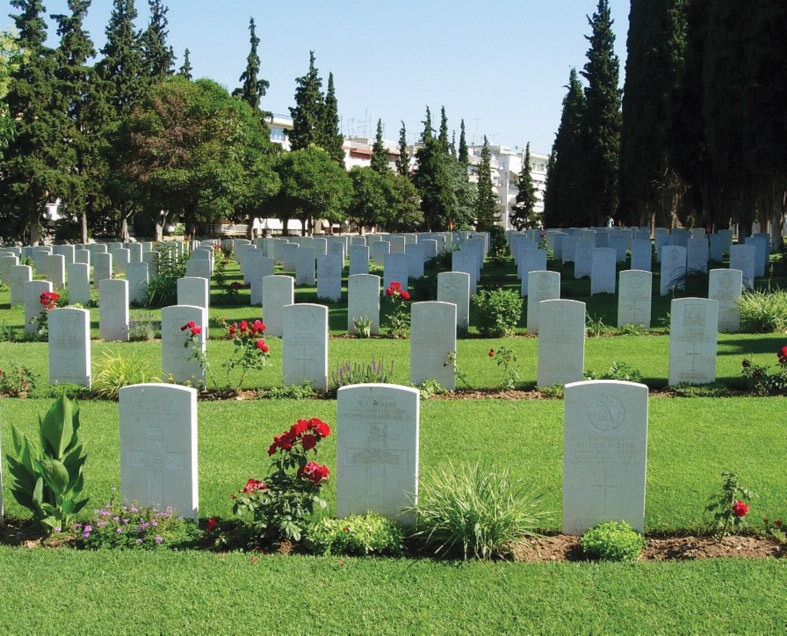 The Salonika campaign, being a low priority for the War Office, the assistance rendered by voluntary medical organisations, such as the Scottish Women’s Hospitals, proved invaluable. 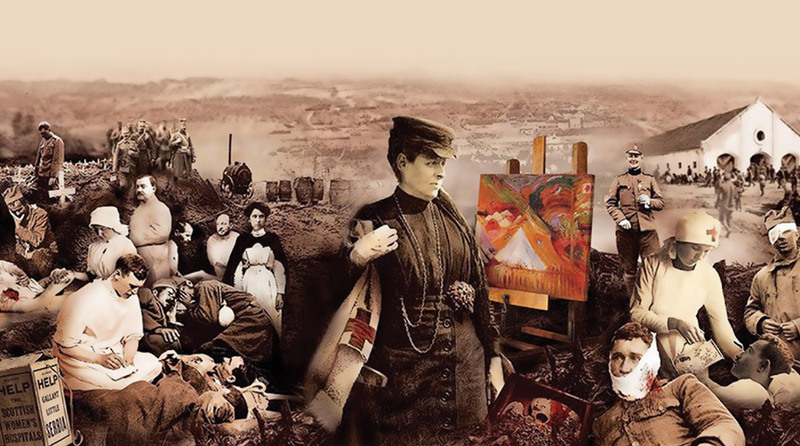 Nurses under their auspices helped troops and civilians in both Serbia and Salonika. In Serbia these nurses and doctors gave what help they could to soldiers and civilians as they retreated over the mountains of Albania and Montenegro in the depths of winter with no food, shelter. Those who made it to the safety of the Adriatic sea were able to make their escape to the islands of Crete and Malta. As a direct consequence of the retreat the SWH set up a convalescent hospital in Corsica in December 1915 to help displaced Serb women and children. In Salonika a hospital (known as the Girton & Newnham Unit after the Cambridge University colleges which funded it) was set up in a disused silkworm factory in the border town of Gevgelia though it soon had to be relocated to the city of Salonika when the rapid Bulgarian advance threatened. Malaria proved to be a serious drain on manpower during the campaign. In total the British forces suffered 162,517 cases of the disease and in total 505,024 non-battle casualties. Much of the work of the nurses at Salonika was spent in trying to fighting malaria . 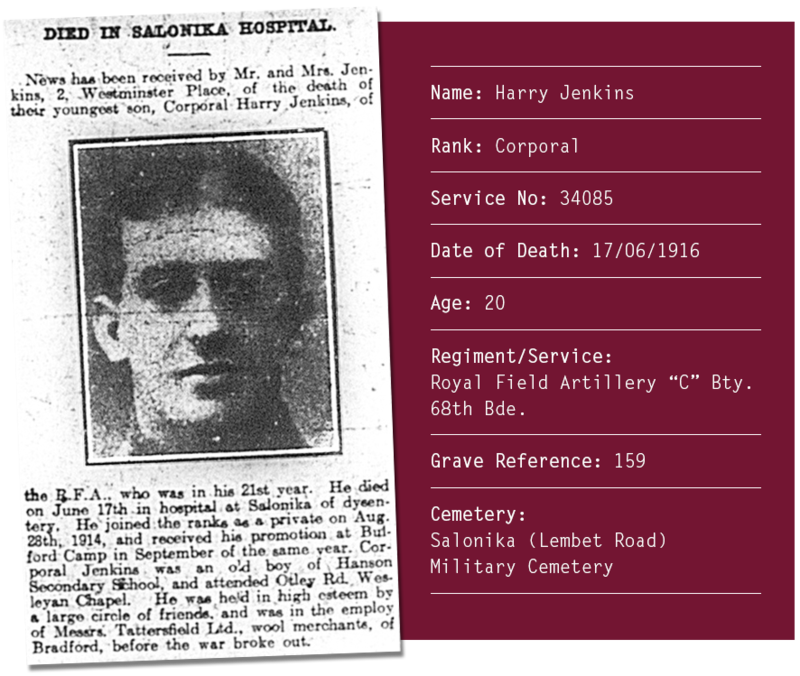 Well over thirty men from Bradford are known to have perished during the Salonika campaign, many of them from disease rather than wounds. Serbian artillery in action on the Salonika front in December of 1917.